While school is out for the summer Maleigh is spending the day with me and Mia half the day. It is both fulfilling and rewarding. I am working on incorporating new routines for our morning to midday time spent together. We are unable to spend much if any time outdoors due to the mosquitoes and humid hot weather. Apart from reading, learning in small doses addition / subtraction, arts and crafting, her version of “writing a book”, keep in mind Maleigh turned 5 in November, the continuous asking of questions which is such a delight me trying to come up with creative ways of answering them so she can understand or comprehend the meaning although, she understands more than given credit for at times and can be challenging. I let Maleigh watch some TV/movies and prefer her to watch a variety, not just the Disney prince and princesses – which has and will always have an ever lasting bond of love in my heart, and so with her unapproved and disappointed ways I picked two new movies she had yet to explore, enjoy the adventure or learn a new way to use her imagine through fantasy and language (made up or mispronounced words heard by a giant), living on a small asteroid, loving unconditionally, befriending a fox, flying an airplane…. This movie was directed and co-produced by Stephen Spielberg. It is based on the novel The BFG written by Roald Dahl. In the film, an orphan human girl befriends a benevolent giant, dubbed the “Big Friendly Giant”, who takes her to Giant Country, where they attempt to stop the man-eating giants that are invading the human world. BFG is pure magic. The innocents and bond developed between these two misfits is oh so powerful. I haven’t read the book but so want to and will with Maleigh. It will be so much fun to share once and relive this adventure with her through reading. 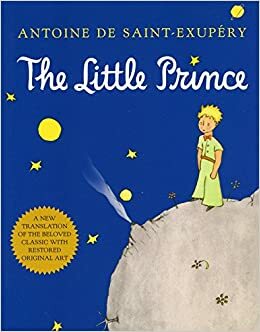 The narrator explains that, as a young boy, he once drew a picture of a boa constrictor digesting an elephant in its stomach; however, every adult who saw the picture would mistakenly interpret it as a drawing of a hat. Whenever the narrator would try to correct this confusion, he was ultimately advised to set aside drawing and take up a more practical or mature hobby. The narrator laments the crass materialism of contemporary society and the lack of creative understanding displayed by adults. As noted by the narrator, he could have had a great career as a painter, but this opportunity was crushed by the misunderstanding of the adults. The Little Prince was the perfect movie to end our “babysitting” adventures. She could hardly wait to tell her mother all about it. She will repeatedly watch this movie and I will repeatedly read her the book. Until another day and glorious adventure….I wish you a wonderful evening and prosperous new day. June 22, 2017 in Thinking Out Loud. Oh How I Wanted To…. I saw the BFG last year with my kids–loved it! It is a wondeful movie. This is so wonderful and it warmed my heart for you and all that special time spent together. It sounds magical and your beautiful writing took me to a place far away to dream and like you said escape and forget adult responsibilities. I yet have to see BFG and I have a feeling I’m missing out. And I gladly return much love right back to you and thank for that smile my beautiful friend. Have a beautiful weekend.